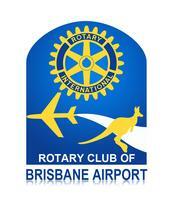 This morning, I spoke to the Rotary Club of Brisbane Airport. They are a breakfast club that meets every Tuesday morning at the Transit Tavern. The meeting was more laid back and informal than other meetings I have attended but they were most welcome and friendly. Many of the members were associated with the airport in some fashion which made sense! I shared with them about how I first became connected with Rotary and what I am studying at the University of Queensland. One thing I am always amazed by is all the different community projects that each club does. The Brisbane Airport Club was preparing for their annual Melbourne Cup Luncheon that raises funds for various organizations. This year’s recipients would be the RACQ CareFlight Rescue, a not-for-profit community rescue helicopter service that has made a difference in the lives of nearly 40,000 people over the past 30 years and the Rod Walker Memorial Fund that carries out Rod’s vision to see unmanned aircraft benefit Australians during bushfire fighting, emergency response, environmental and infrastructure management, and the provision of aerial services to rural communities. I can’t wait to give my sponsor club all the banners that I have collected here in District 9600. The club’s banner is fun with the airplane and kangaroo! Australian banners are much bigger than those in America or at least the Nashville ones. My presentation must have been decent because Paul asked me if I would speak at the Rotary Youth Conference. I said that I would check my schedule since the date was slated for late February, I wasn’t sure if I would be in town as it would still be uni holidays. We decided to stay in touch and finalize the details closer to the date. I really enjoyed the morning visit to Brisbane Airport and love starting the day being so productive.